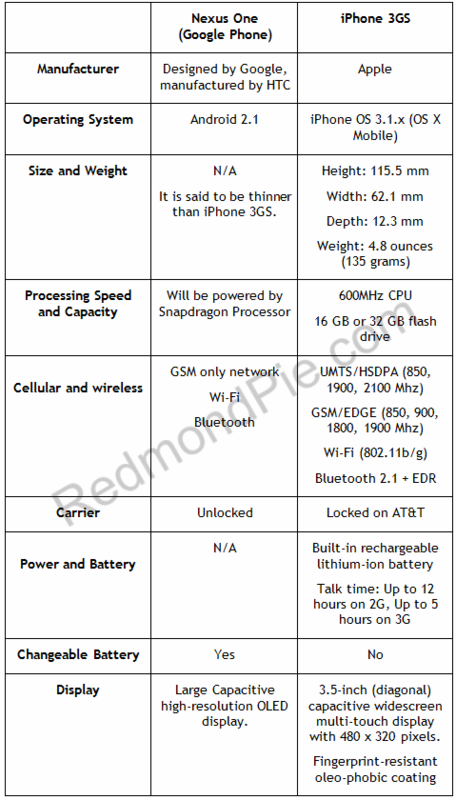 Here is a head to head comparison between the iPhone 3GS and the upcoming Google phone named as Nexus One. For those of you who don’t know, Nexus One been designed by the folks at Google, and the hardware is manufactured by HTC. Nexus One will be powered by the latest version of Android OS and will be sold online by Google, fully unlocked so that you can use it with any carrier you like. 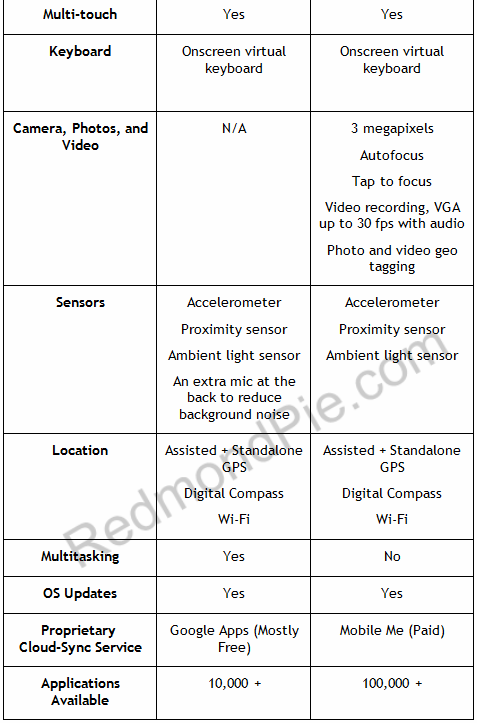 It will look alot like HTC Passion/Bravo which is also slated for early 2010 release. 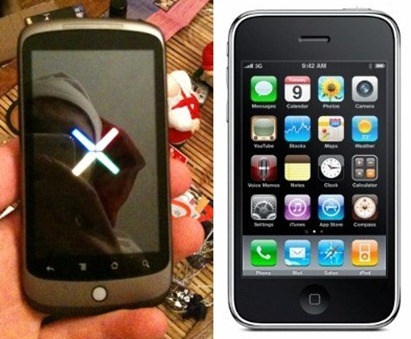 Below is a quick showdown between the two handsets, showing how the popular iPhone 3GS stands against all the information that we know about the Google Nexus One. This is a good article, it's nice to see them side by side. power and battery = n/a ?? iPhone has got multitasking too [some of Apple aplications like iPod, iMail, Safari, Telephone etc.] and after jailbreak you've got full multitasking too. Jmhalder: so? 99% paid apps from AppStore is fcking cheap, so? And u've got free apps to. I'm In Bangalore – India, Any Idea As When This Google Nexus One Will Be Available Here?